On March 8th, Marvel Studios released their latest entry into their monumental interconnected universe of films. Since the release of the film two weekends ago, it has amassed $600 million dollars worldwide and is on pace to pass $1 billion. 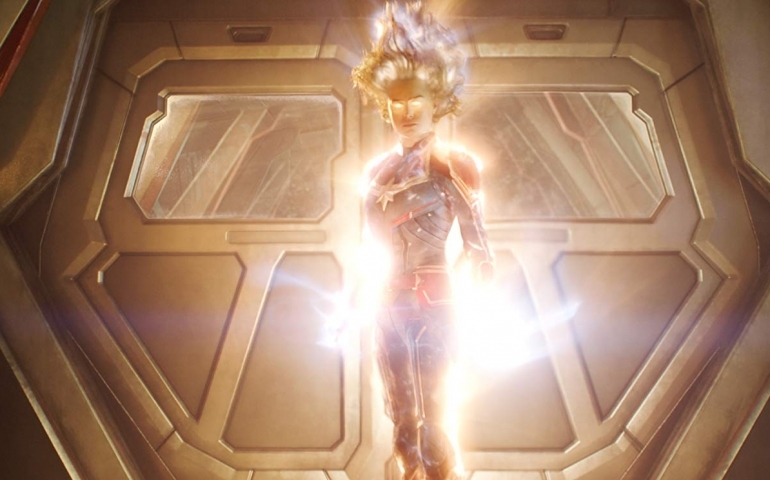 Captain Marvel is also the sixth highest grossing openings for a film worldwide. The reaction to this movie has been mixed. Some viewers are loving it and praising Brie Larson and her depiction of the titular character. However, others have attacked Marvel and their overt “politics.” In the middle are people that feel as if it’s a safe, mediocre, run of the mill Marvel film. Given the popularity of the film, I hit the streets of our fair campus to ask SNU students their opinions. When inquired about her thoughts, senior Erin Hopkins expressed, “I loved the overtly feminist tones that the film showed.” When watching this film, viewers can see how the writers deliberately wove current issues like #MeToo into it. When asked about his favorite part of the film, sophomore Brett Hiebert said, “I like how the Skrulls were the good guys because in the comic books, the Skrulls are all bad: there are no good ones.” Hopkins expressed how she like the politically charged nature of the Skrulls being refugees and on the protagonist’s side. On the topic of Brie Larson and her role as Captain Marvel, Hiebert and Hopkins both agreed that they liked her. On the other side, junior Josh Jenkins said, “I’m not a fan of her in this movie. It was just really bland acting.” He went on to express that “When you compare Brie Larson to her best friend, [Lashana Lynch], in the movie, there’s no competition.” Jenkins expressed that Lynch made him feel emotions based on her performance but felt Larson lacked something. While most felt that the movie was solid, there were fair criticisms that SNU students expressed about the movie. Regardless of these thoughts, Captain Marvel is crushing it at the box office. Marvel continues to have success after success. The next entry in the Marvel saga is Avengers: Endgame and it will be hitting the big screen on April 26th, 2019.